Tune in December 10, 2012, at 9/8c for voting times. Eligible voters may vote 1 time via text message per originating phone number. Anyone texting within the Continental United States (including Washington, D.C.), Hawaii and Alaska during the applicable vote window can cast their vote for American Chopper. To vote via text message, during the applicable voting window send the number associated with the bike you wish to vote for to the short code 97979. You may vote via text message 1 time per originating phone number during the voting period. If you send your text during the voting period, you will receive a confirmation of entry. Any texts sent after your first text will NOT be counted. Outside of the voting window, your text will not count as a vote. To vote via text message, you must have your own wireless device capable of 2-way messaging; be a wireless service subscriber with text messaging service; and use a participating provider/carrier, which are: AT&T, Verizon Wireless, Sprint, T-Mobile, Nextel, Boost, Alltel, U.S. Cellular, Virgin Mobile, Dobson, Cincinnati Bell, Cellular South, NTELOS, CellCom, Carolina West, Bluegrass Cellular, Cellular One, Centennial Communications, EKN, GCI Comms, Illinois Valley Cellular, Immix, Inland Cellular, Nex-Tech, Revol, United Wireless, and West Central Wireless. To opt-out at any time, send STOP, QUIT, CANCEL, END or UNSUBSCRIBE to 97979. For help, send HELP to the short code 97979 or e-mail info@telescope.tv. Message and data rates may apply. Anyone texting within the Continental United States (including Washington, D.C.), Hawaii and Alaska during the applicable vote window can cast a vote for their favorite bike. To vote via text message, you must have your own wireless device capable of 2-way messaging; be a wireless service subscriber with text messaging service; and use a participating provider/carrier, which are: AT&T, Verizon Wireless, Sprint, T-Mobile, Nextel, Boost, Alltel, U.S. Cellular, Virgin Mobile, Dobson, Cincinnati Bell, Cellular South, NTELOS, CellCom, Carolina West, Bluegrass Cellular, Cellular One, Centennial Communications, EKN, GCI Comms, Illinois Valley Cellular, Immix, Inland Cellular, Nex-Tech, Revol, United Wireless, and West Central Wireless. Tune in December 10, 2012, at 9/8c for voting times. During the voting period, you may vote 1 time via text message per originating phone number. Any vote you attempt to cast above this limit or outside of the designated voting period will NOT count. How much does it cost to vote via text message? The cost of voting via text message varies depending on your carrier's wireless text messaging package. If you do NOT have a text messaging package, message and data rates may apply to messages sent and received. You will be charged for each message sent from and received by your wireless device, regardless of delivery and including invalid votes cast outside of the specified time period. Please consult your wireless service provider regarding their pricing plans. Message and data rates may apply. 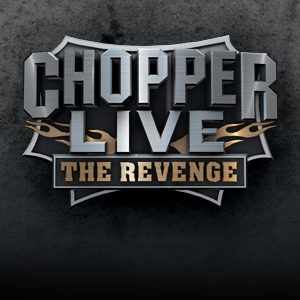 Voting results will be revealed during the December 11, 2012 episode of American Chopper. Check your local listings for show times.